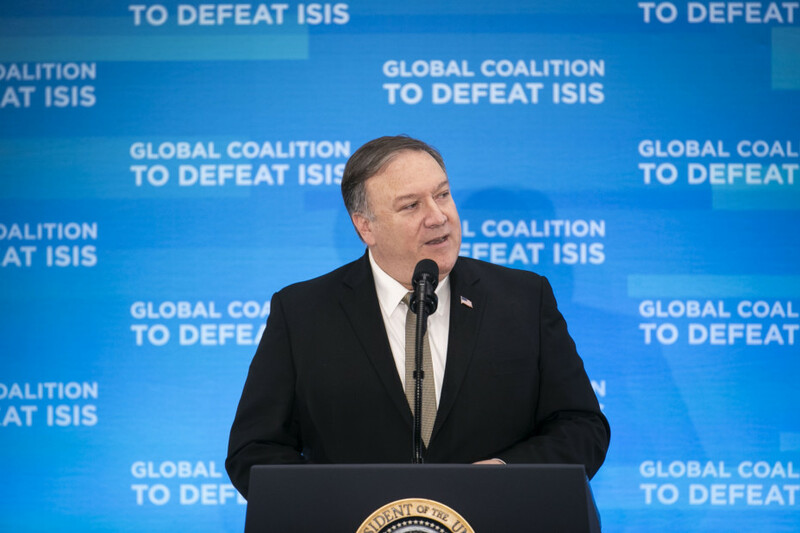 In his January speech in Cairo, ostensibly to set a road map for American policy in the Middle East, US Secretary of State Mike Pompeo started with a reference to his evangelical belief: “This trip is especially meaningful to me as an evangelical Christian.” Then he went on to remind his audience and the Middle East: “I keep a Bible open on my desk to remind me of God and His Word, and The Truth”. Pompeo is the second pillar of the Trump administration along with Vice-President Mike Pence — who is unsurprisingly a committed evangelical. The two Mikes are representative of the core of President Donald Trump’s popular base of white evangelicals. Regardless of that evangelical core, however divisive it may be, the Middle East is not in need of more “religion in politics”. It’s almost impossible to discount “religion” from Pompeo’s speech at the American University in Cairo (AUC). Even AUC President Francis J. Ricciardone distanced himself and the AUC from the Secretary’s message in an internal email to the AUC Alumni. The main focus of Pompeo’s speech was the two officially religious states: Iran and Israel. The Islamic Republic of Iran is controlled by a Shiite theocracy, while Israel has recently formally announced itself a Jewish state. If Turkey is pursuing a regional ambition based on a religious or sectarian basis, it’s not acceptable to leading Sunni countries in the region. The US should refrain from encouraging the Turks to follow this path — even though it might help the American strategy of quelling the threats posed by Iran to the countries in the region and protecting Israel, which was the thrust of the US Secretary’s speech. In a bid to build a coalition to ward off the destabilising moves and interference from Iran, Pompeo placated Turkey, especially on its demands in Syria. Saudi Arabia and its allies in the region are standing together to prevent Iran from meddling in the internal affairs of the countries in the region. These countries are defending their security and stability not on the basis of a religious divide, but are working in an inclusive manner on a political and strategic path. This is the Year of Tolerance in the UAE, and all moderate Arab states do not condone mixing religion and politics. The UAE insists on keeping religion out of politics and regional relations, a view shared by the rest of the moderates in the region. So Pompeo didn’t need that “religious” colour in the important speech, and shouldn’t have tested the tolerance by stressing his evangelical belief. There are evangelical churches in Cairo; even Abu Dhabi has an evangelical community church. But that has nothing to do with politics. And it shouldn’t. The region is suffering from the tendency to use a sectarian agenda for political gains. The main threats stem from Tehran’s ability to exploit religious and sectarian divides. Turkey might be using religious groups (even extremist ones) to advance its goals in the region, much to the consternation of countries that seek a regional order based on mutual interests and cooperation, not one built on race, religion or sect. It looked as if Pompeo wanted to add evangelical Christianity to Judaism, Islam — Sunni and Shiite. Of course, it’s not the case, but in a region still struggling to get rid of fanaticism and fundamentalism, such symbolism needs to be avoided, even if it’s with good intentions. Unfortunately, there’s a wave of thinking in the West in general and the US in particular, that reduces all regional affairs in the Middle East to religious origins. That’s not helpful given the current regional trend towards moderation, emphasising the right core and spirit of religion, yet keeping it out of politics. That trend goes back decades when think tanks and scholars in the West who advised decision-makers thought that ‘Political Islam’ was rising in the region and that it could be a moderate force against extremists. But experience has proved the contrary. It would be fair to argue that this was one of the factors — whether intended as some conspiracy theorists argue or unintentional as I believe — that emboldened Islamist groups like Ikhwan (Muslim Brotherhood) and terrorist groups under its umbrella. Pompeo definitely wouldn’t want to give these groups more fuel to fan the flames of religious and sectarian divisions. Nor does he want to undermine efforts by moderate countries in the region to prevent the politicisation of religion that scarred the region for decades. But unfortunately, religious colouring of his important speech diluted its impact. Dr Ahmed Mustafa is an Abu Dhabi-based journalist.